What’s in a name? An awful lot if yours is Camry. This mid-sized Toyota has practically defined the term “family car” since it was introduced in the early 1980s, its name becoming closely-associated with things like reliable, practical and generally awesome. 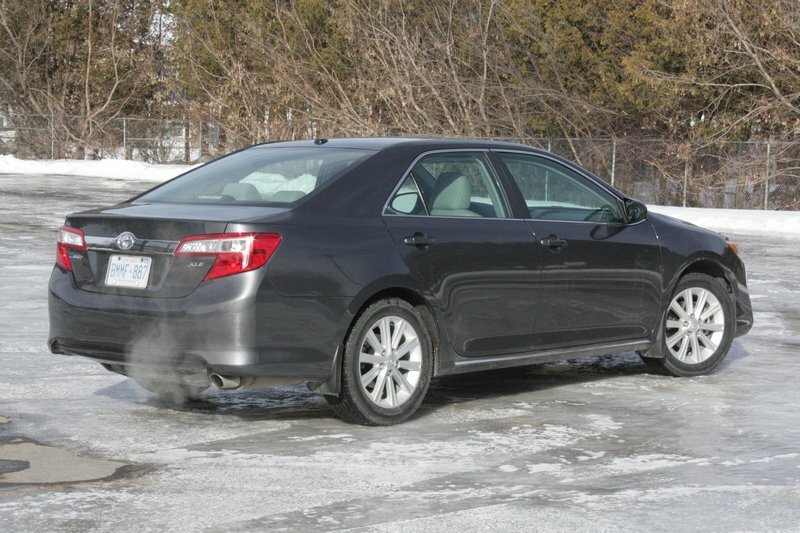 But competition is a wicked thing, and has come recently in the form of a fleet of sedans all vying for the Camry’s crown, especially in that ‘generally awesome’ category. Key among those are the Hyundai Sonata and Kia Optima, both redesigned for 2011 into really attractive cars whose designs stood out next to the staid-looking Camry. They’re both great values for the buck, too, and no matter how many corners Toyota cut (and they have cut many of them in the last few years), it couldn’t drop the Camry’s price to keep up. 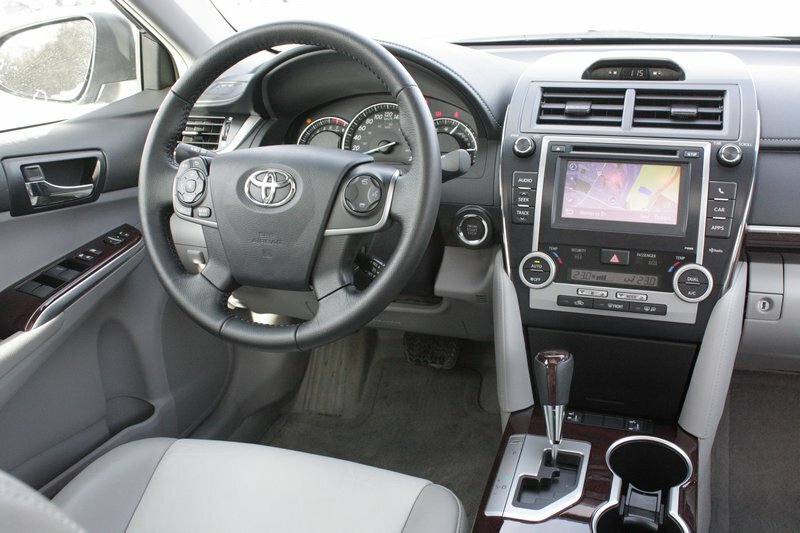 A new-for-2012 Camry helps reverse the effects of that cost-cutting, with new styling, a much-improved interior and, ironically, a lower price (more on that later). The interior improvements are especially evident in pricier versions, like the XLE model I tested. The dash top is covered in a leather-look material that looks and feels expensive and contributes to a class environment. For certain, it’s far nicer than the outgoing car’s festival of cheap plastic. Toyota calls this Camry all-new, but the dimensions are almost identical to the old car’s, so I suspect the underpinnings are largely the same. It’s the same tactic Toyota used with the most recent versions of the Corolla and Matrix. This in itself is a cost-cutting measure, but at least the styling is obviously new, which is more than you can say about the Corolla, which has barely changed since 2004. This redesign brings back some of the general awesomeness lost in the last two generations of the car, but it’s still certainly not exciting or engaging. Instead, it’s reassuring. 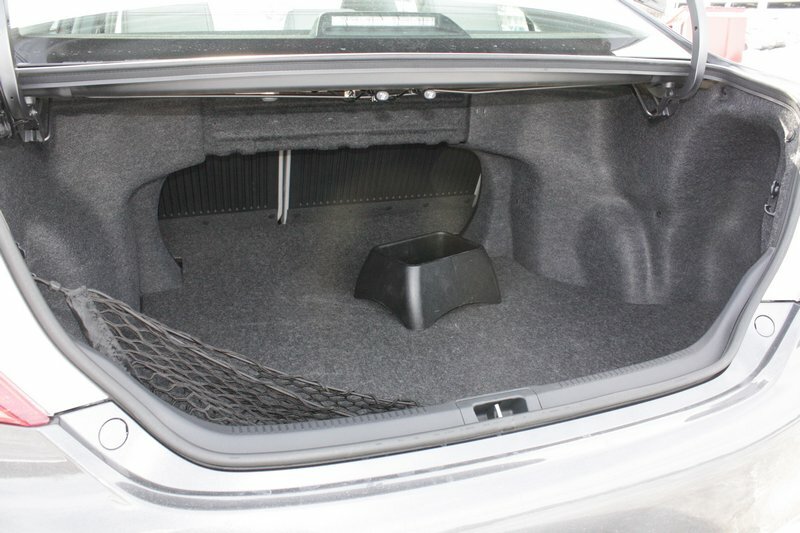 The seats are comfortable (save for a lack of thigh support in the front seats), the interior spacious (legroom and trunk space are particularly generous) and the controls intuitive, save for the cryptic “APPS” button on the centre stack, used to access the navigation system (standard in the $30,000 XLE), among other things. Pardon me for saying so, but I doubt the term “apps” is going to be familiar to many of the Camry’s target buyers. The only bit of questionable quality I noticed was a persistent rattle from somewhere around the front passenger seat. My tester’s four-cylinder engine (carried over from last year’s car) is a smooth runner that, despite the Camry’s relaxed attitude, is happy to be pushed hard. Its 178 horsepower and 170 lb-ft of torque don’t make the car fast, but its enough power to keep the car from feeling underpowered, at least until it’s loaded down with people and/or stuff. Then you might wish for the optional V6’s 268 horses. At the sedate sort of pace this car likes best, everything about it is quiet. The engine is barely audible in normal driving, and the only sound that rang through at highway speeds was the roar of the knobby winter tires. A six-speed automatic transmission is the only one available, surely much to the chagrin of all the devoted stickshift drivers who say they care, but the majority of whom would never buy a Camry anyway. 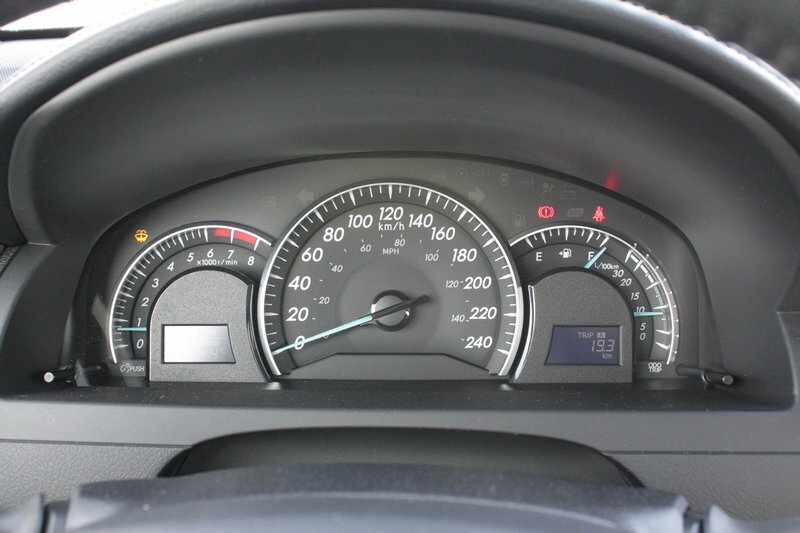 It shifts up early in acceleration to save fuel, a tactic that works fine if you’re in no hurry, but leads to some busy behaviour in what most would call normal acceleration as it often has to downshift midstream to maintain momentum. Still, that’s a good enough fit with this car’s relaxed reflexes. The steering is light, throttle response is gradual and the brakes never get grabby. The only outlier in my mind is the firm ride. It’s rarely uncomfortable, and while the suspension is good at controlling body motions on rough roads, it seems out of place given the laid-back nature of the rest of the car’s componentry. 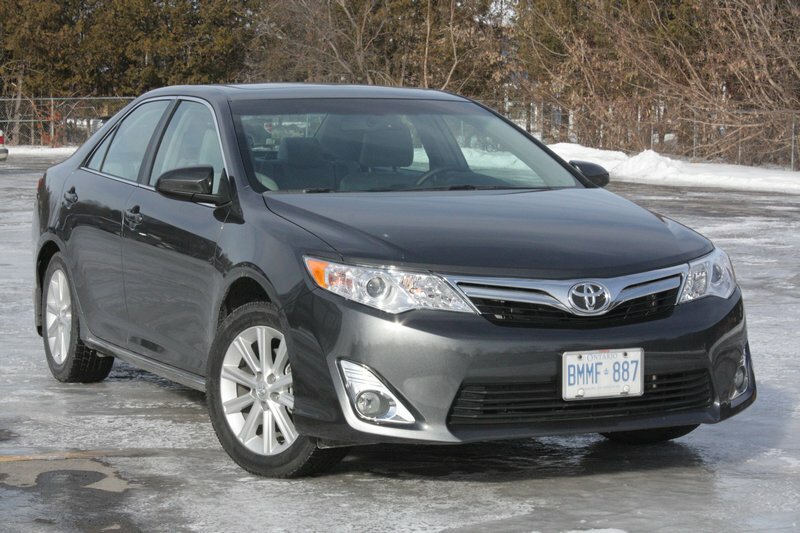 The entry-level 2012 Camry LE is priced at $23,700, about $1,600 less than the equivalent 2011 model. 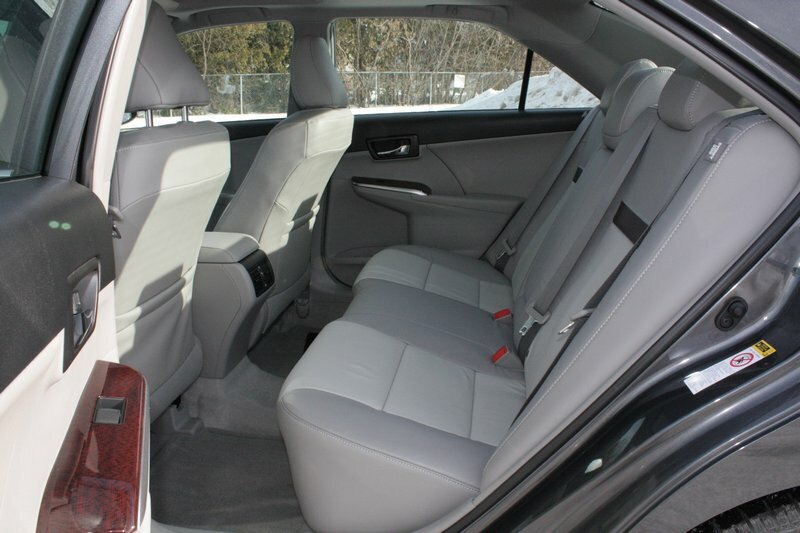 Meanwhile, an XLE like my tester is about $1,300 cheaper than its 2011 equal, at $29,900, and is well-equipped for that price, with heated front seats, navigation, dual-zone automatic climate control, sunroof, decent-looking simulated wood trim and leather upholstery. Looks-wise, the Camry can’t hold a candle to more distinctive-looking cars like the Sonata, Optima and the upcoming 2013 Ford Fusion. Like those that went before, this Camry is not exciting, but the combination of improved interior quality and lower prices means it no longer needs to rely on its well-known name to get attention.